While in France, I frequently ate Muesli yogurt for breakfast. Muesli is very much like granola, except for two differences: it isn't baked and doesn't have any oils or sweeteners to hold it together. 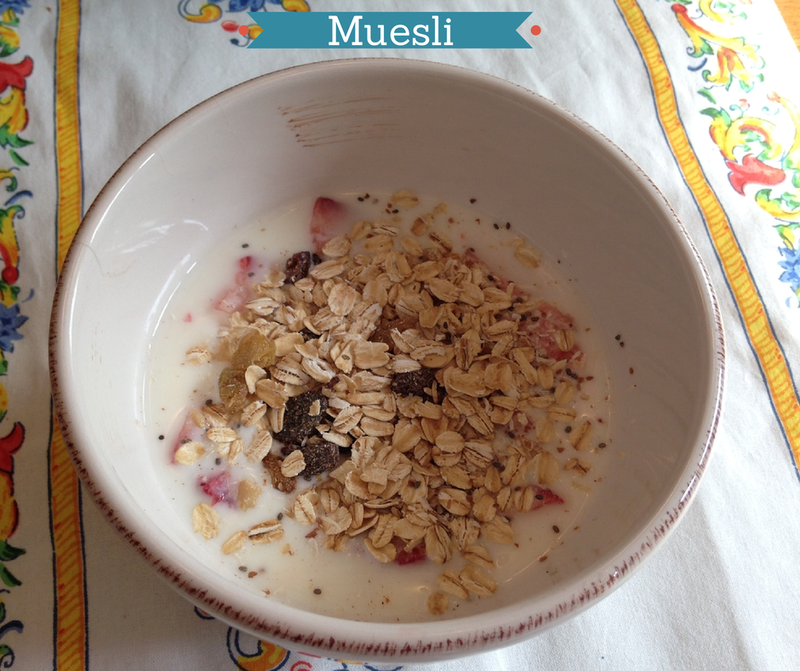 Because of this, muesli is very healthy and without the baking it is super easy to make. There many different arguments on proper muesli. Some sources say that you are supposed to soak the oats overnight and other people add it when you're ready to eat it, just like granola. The Kitchn has a great article that explains that soaking the oats makes them easier to digest and better for your body to absorb the nutrients. Soggy oats just don't sound super appealing so what I do is I soak the oats for 15-30 minutes before I'm ready to eat. It's got to help a little bit right? Now on to what to eat them with. I've seen recipes that use museli in everything from yogurt to milk to fruit juices. In Europe I ate it in yogurt. I got used to the thin and less sweet yogurt over there. Lately I've been eating it in Kefir. Its thin like milk and you can buy it in all types of yogurt flavors like strawberry and blueberry. Because fruit is so good right now, I like to buy plain and add in my own fruit. Feel free to add this to whatever kind of yogurt you like. I typically have a single serve yogurt or 1 c of Kefir and add in 1/4 c of Muesli. (1/4 c is around 144 calories). This is the perfect breakfast for summer because its served cold, but keeps you full! Mix all ingredients in an air-tight container. Shake to mix. Keep in pantry for up to a month.